Division practice has never been more fun! 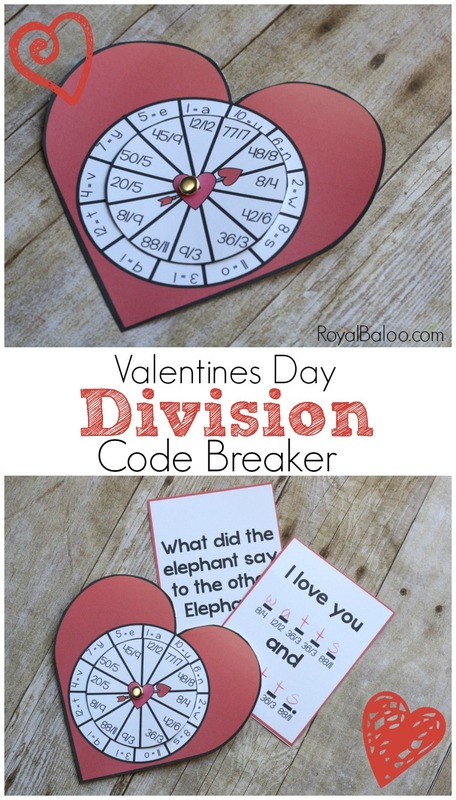 These Valentines Day Division Code Breakers are sure to be a math hit for great math practice! I think Valentine’s Day is too lovely for my kids. They’re wonderfully sentimental but something about the hearts seems to set them off. So I love being able to toughen up the hearts a little bit for them. After all, Valentines Day is about love and kindness! Who doesn’t want to be a part of that, right? But I think these Valentines Day Division Code Breakers might just be “spy” enough to pique their interest! You guys asked for it, so here it is! The Winter Multiplication code breaker was a huge hit. 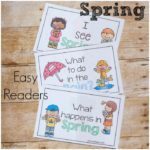 I get it – it’s a ton of fun and math practice all rolled into one. So I thought I’d throw a bit of division out there. These are super simple to put together. Print on cardstock so they stand up to use. I’ve found that printing on paper doesn’t work well. Cardstock is great though (laminate to use with more than one child!). Make a small hole right in the middle of the big circle and small circle. Attach a brad. Make sure to secure the brad but not too tightly or the inner circle won’t turn. Print off the riddle cards and get to it! 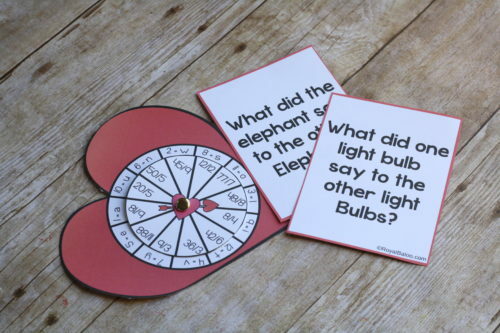 The riddle cards are designed to be printed double sided. The questions are on one side and the answers on the back! Each division problem indicates which letter is to be used in the riddle answers. So if the riddle says 8/4 you’ll need to match the code breaker to ‘2’ which is the letter ‘w’. Simply write the ‘w’ on the line on the riddle card! The answers do not all match up! This was one request from the multiplication set – that the answers should be scrambled. So I went ahead and did it that way on this one! Each answer needs to be lined up. Try to see if you can solve the riddles first! If not, you can use math to find the answer. Or just check your answer with the code breaker! And don’t forget to make some of your own codes too! Send someone a fun message or a secret code.